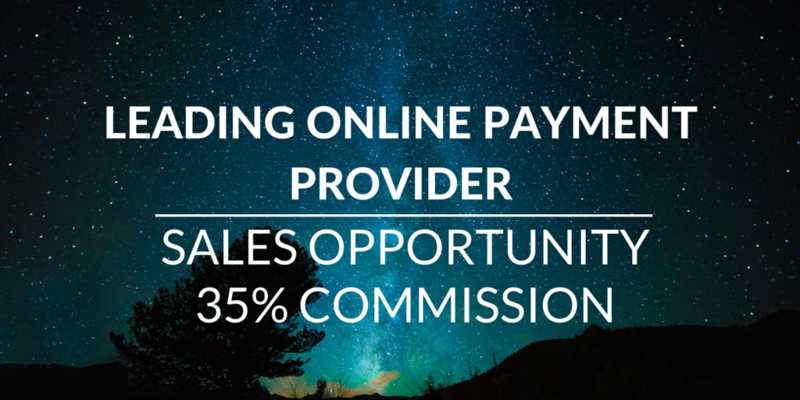 Today we speak with CliQ Payments - A leading online payments provider who are seeking to partner with self-employed sales reps interested in selling a smarter way to accept online, mobile & MOTO payments to B2B clients globally. Where did the inspiration for CliQ come from? CLiQ Payments was inspired by the realization that a lack of professional merchant facing services and payments industry expertise in the eCommerce marketplace presented an important business opportunity. CLiQ was founded by payments industry entrepreneurs with a range of previous experience including navigating a payments startup from inception to the point of licensing as a European Payment Institution. With CLiQ the team chose to leverage their previous experience and industry relationships to build a new venture focused entirely on offering and array of best of breed merchant services to eCommerce merchants directly at a level not currently available in the market today. The payments industry and particularly the eCommerce and mobile payments industry is growing in double digit figures. Ever changing and rapidly expanding in lockstep with the broader technology sector, payments are seemingly in a state of constant evolution. The rise of new technologies is changing the way we work and play, and with each change a thousand new business models are born. Innovation in technology and payments presents tremendous opportunities for merchant services providers, who are able to bridge the gap between the plethora of evolving payment methods and technologies, the regulatory and technical frameworks governing their effective use and integration, and their relevance and suitability for a wide range of merchant business models. We advertise in the usual places, but we find our best avenue to quality merchants is through direct introduction and referral from someone who has an existing relationship the merchant. That’s why we prefer to work with a network of independent sales agents who can leverage their existing relationships and apply their personal touch to new merchant relationships they develop. It is very much a business requiring a personal touch! We already work with a network of independent sales agents and we find we get our best merchant referrals from them. Independent reps are typically hard working, well connected and highly experienced sales professionals who are a credit to our business. Our reputation as a leading provider of merchant services makes our offering easy to present. We charge no upfront or setup fees, and our rates and product/service offering are many layers deeper than those offered by a single acquirer directly, for right around the same cost. The choice is easy for the merchant, so the product is easy to sell! CLiQ offers merchants a better solution than working with acquirers directly. Our industry leading payment gateway is connected to over 200 different acquirers and more than 300 payment methods overall, and offers payment acceptance in more than 100 currencies. We work with a range of European and International Acquirers and alternative payment methods to offer merchants a robust, redundant and highly efficient payment solution that is not reliant on any single acquirer or payment method. Our merchants benefit from the robustness of our redundant solution and the best practices payments service, advice and advocacy we provide all for about the same price as going to an acquirer directly. For merchants it’s like having their own team of in-house payments experts, all for no extra cost. CLiQ intends to expand its footprint in the UK, and expects to open a dedicated UK customer service office later this year. The Payments industry in Europe is regulated at several levels. Broadly speaking the European Economic Commission sets the regulatory framework for all payments activities in the EEA through the Payment Services Directive or PSD, now in it’s second major iteration known as PSD II. Nationally, each EU company has its own national regulator, which in the UK is the Financial Services Authority or FSA that develops regulation and enforces within the broader framework of the PDS II. Additionally, for all card payments worldwide, Visa and MasterCard ‘the Card Schemes’ have their own strict regulatory regime which is closely tied to the EU regulatory framework and the national regulations in each EU member state. The sales cycle is very straightforward. We are providing a service that is required by any merchant that wants to sell products or services online. It should be noted that we also service MOTO (mail order + telephone order - an acronym, but mainly referring to call center activity) merchants. These services are available from two sources - either direct from a bank/acquirer, or through the facilities of a Merchant Services Provider like CLiQ Payments. Because we combine the offerings of any number of acquirers and alternative payment methods with a best of breed payments platform and offer a bundled product through a single, powerful integration, a benefits analysis reveals that the choice is simple and strongly favors our service model, which runs many layers deeper than dealing with a single acquirer. The sales process begins when we engage a merchant in the first business discussion. Before we can offer services we must first establish the suitability/eligibility of the merchant, so we do a probing exploration of the merchant’s business model, and answer any questions the merchant has concerning our service offering. Once suitability has been determined and a comfort level is established on both side, we analyze the merchant’s business case to determine the most appropriate acquirers and payment methods. Generally speaking this is something that would be done in conjunction with our service delivery team supporting all but the most experienced sales agents in making this determination. When the merchant profile is complete, we prepare and submit an application package and supporting diligence documents to our preferred acquirers and payment partners, who issue payment credentials to us for our merchant on acceptance. We configure the provided credentials to our payment gateway, and provide integration API documentation to our merchant so they can easily and quickly integrate. The gateway integrates seamlessly to the merchant’s website payment pages (and we provide a hosted virtual terminal with a simple login). Once complete, the merchant can begin processing payments across the gateway to their new range of acquirers and payment methods immediately.